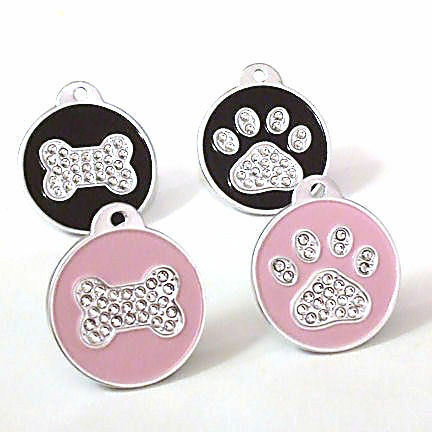 Crystal dog ID tags to keep your dog safe and looking good too! Recommended engraving is 4 lines of max 15 characters each line – Name, Phone Number, and shortened Address (House Number, Road and Postcode) is recommended, but it’s your choice. Please do not exceed the recommended word count and kindly double-check your spelling as we copy and paste your text directly to the computerised laser engraving software.